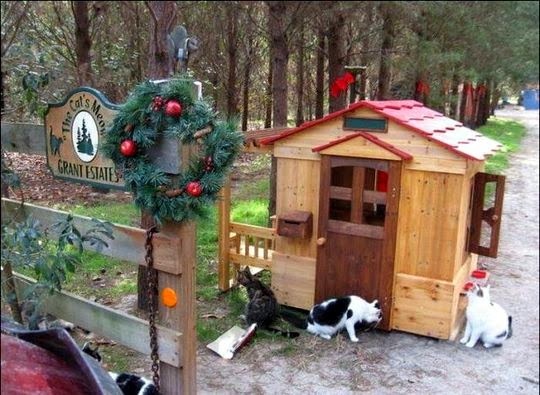 Traveling cats spotted at the Caboodle Ranch Cat Sanctuary in Ponte Vedra, Florida. 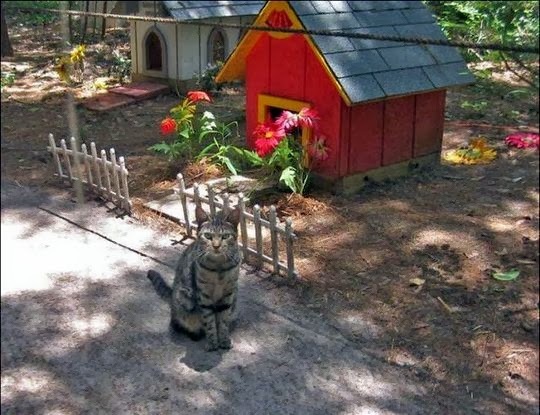 Caboodle Ranch is a miniature city for cats that stretches over 10 hectare of land. 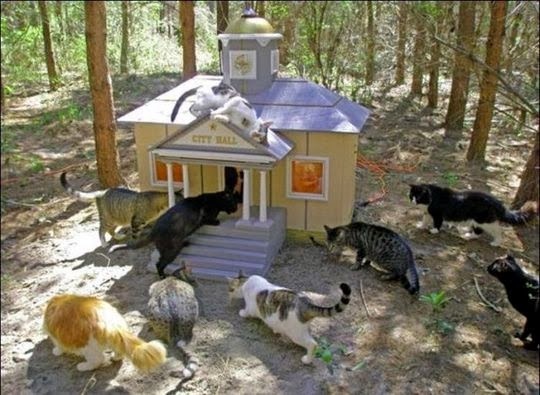 More than 500 happy cats live in the city's miniature houses and malls. Hey!, I've seen that place before....!!! On TV, lol. 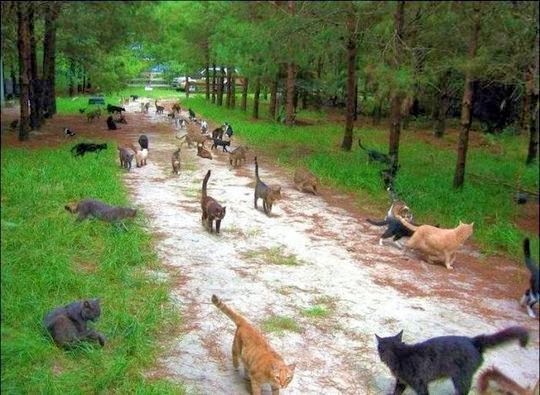 wow that is a lot of cats!!! haha! (((hugz))) from "love is being owned by a Husky"
J'ai vu un reportage l'autre jour sur cet endroit. What a purrrfect place for kitties! (LOVE cats!) And bought some Belgian chocolate today. Since hub's father came from Antwerp, we're kinda partial! I thoughtg Caboodle ranch had been closed down? Am I wrong? Yes, it was closed down for cat abuse.